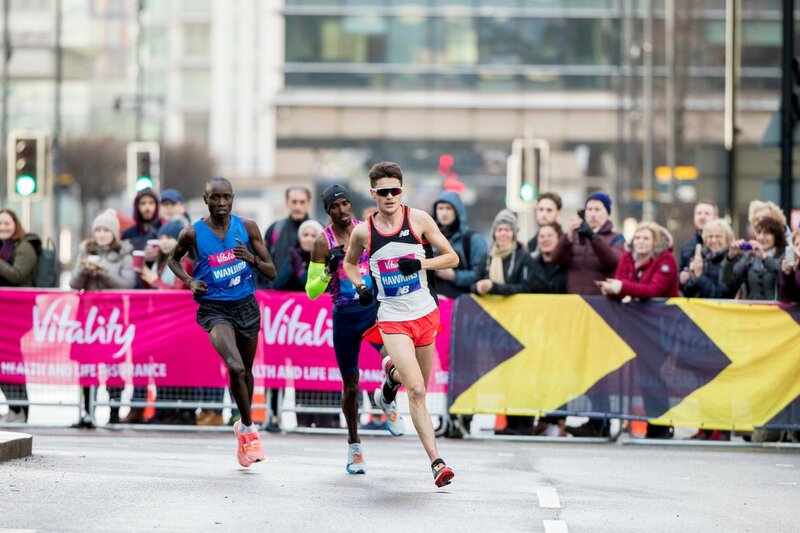 Callum Hawkins continued his preparations for the Commonwealth Games when he finished third at the Vitality Big Half in London yesterday – just five seconds behind race winner Sir Mo Farah. 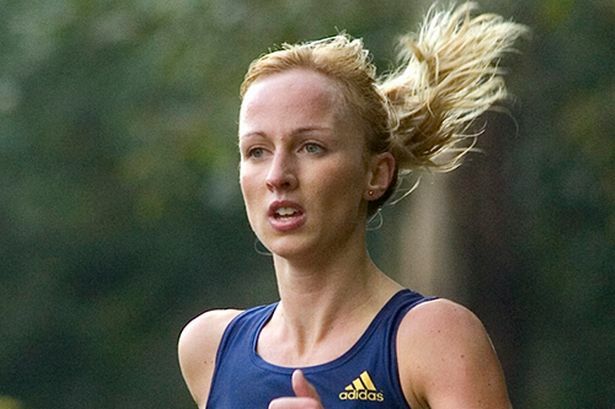 The British duo were locked in a three-way scrap for victory with Kenya’s Daniel Wanjiru until the final 500 metres before the four-time Olympic champion kicked clear to finish in 61:40. 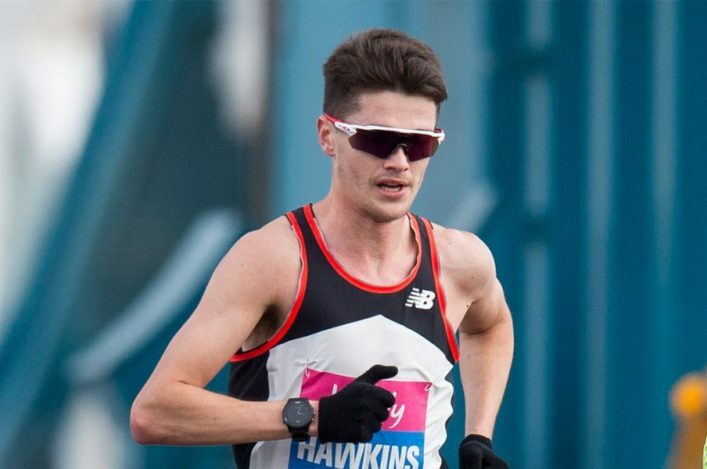 But Hawkins, who had only raced after an epic eight-hour drive through blizzards to reach London on Friday evening and duly collected a British Champs silver medal, will now jet to Australia tomorrow with his plans right on track. 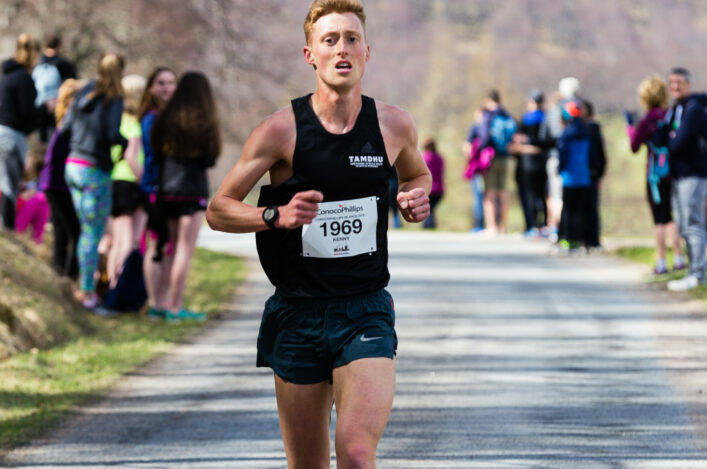 ‘It was tough,’ said the 25-year-old Kilbarchan AAC athlete. ‘The conditions, everything which has been happening this week, it’s been tough but it was good to get out and race. 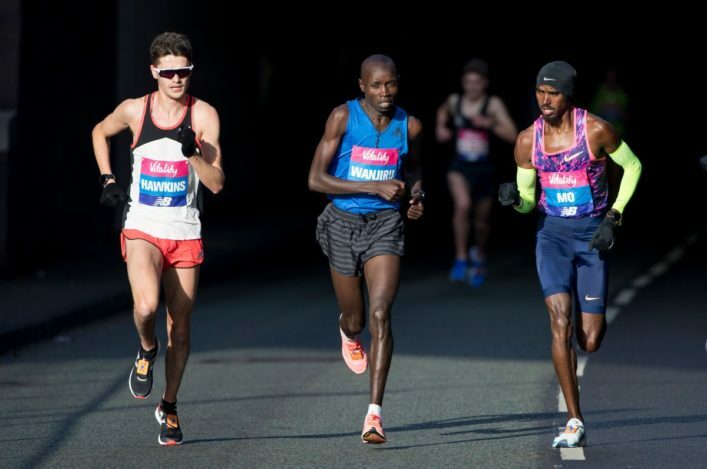 Farah, now retired from the track, revealed he could return to international duties by competing in the marathon at next year’s world championships in Doha. But he claims Hawkins can give him a run for his money all the way to the 2020 Olympics in Tokyo. ‘Callum is a great athlete,’ Farah said. ‘He works hard. You can’t take that away from him. And he put in a great performance as always. ‘It’s important we show what is possible. Over the years, people always compared British people to the Kenyans and said we could never achieve. I don’t see that. We seem to build this barrier.